New Destinations to fly with. Take your first flight with us! Get 10% up to ?1000 MobiKwik SuperCash! Goomo Domestic Flight Offers You Missed! Holidaying in any place, near or far, takes a lot of preparation. While most of our attention lies in accommodation and sight-seeing, there is one thing that we just cannot ignore, and that is travelling. When it comes to travelling, the most comfortable mode remains flights, and one cannot disagree to this. Because the price of flight tickets keep soaring high, it often becomes difficult for us to travel by air and we end up taking the other inconvenient ways of travelling. Not anymore. GoPaisa has amazing flight deals for all that not just make traveling by air affordable but also save time and money. GoPiasa has for its users a list of travel retailers who offer great offers on flight tickets. When you book your tickets at these retailer’s website you get an added discount as well as cashback on your transaction. Here is a list of all the flight service providers who make travelling by air the best option. Makemytrip is one website that we look up to every time we need to book flight tickets. This travel website often comes up with sale season during which the fares of flights go low. All you need to do to avail these sale season offers is to use the Makemytrip coupon available at GoPaisa. These Makemytrip coupons make flight fares affordable. At Gopaisa you will come across a long list of Makemytrip coupons and Makemytrip promo codes that will allow you to save on flight tickets. 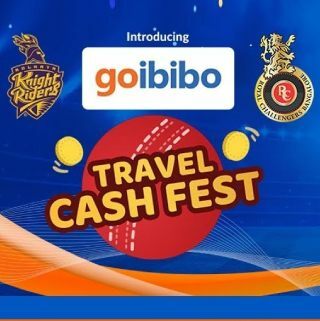 On using Makemytrip discount coupon you are also eligible for GoPaisa cashback. This cashback can later be redeemed for numerous purposes. Get Flat 10% off upto Rs.1000 off on your bookings! Get Flat 10% - Upto Rs.1000 Instant Discount on your booking on eligible UDAN Destinations mentioned below. Offer has no minimum booking or transaction value on condition on these sectors. Booking Khazana offers flight services for almost all national and International airlines which cater in India. Booking Khazana often comes up with Booking Khazana discount coupons, Booking Khazana flight coupons, etc. Use these coupons listed at GoPaisa.com and along with the extra discount get cashback for sure. You can redeem this cashback later to make different payments and also get it transferred to your bank account. Cleartrip offers bookings for almost all national destinations along with Gulf nations of Oman, Qatar, Kuwait, Bahrain, and Saudi Arabia. Cleartrip often comes up with Cleartrip discount coupons and Cleartrip flight coupons during festive sale. The Cleartrip promo codes for domestic flights are the most awaited ones as they offer you a chance to visit your favourite destination for a low price. Most of these coupons are easily accessible for you if you make your booking via GoPaisa. Talking about ‘Travelling’ excites us instantly. No matter how many places we visit within a year, there are a plenty of places still unexplored. Travelling gives us a break from our monotonous routine which rejuvenates our mind and boosts our confidence level & productivity. Moreover, meeting new people enlightens our knowledge of different culture and language. Some people love expeditions to explore new things on their own while others prefer spending a quality time, at a new place, with family and friends. If you are one of those who plans at least one trip in a year or a frequent one who travels every now and then because of work, book your flight tickets beforehand to make your travel economical. Flights are often preferred over trains to save the time of journey; however, not everyone could afford the sky-touching prices of flights. To bring down these flight booking charges to the ground, various online flight booking websites present you with a plenty of domestic flight booking offers. If you are looking for very cheap flight tickets, then make sure to use lucrative domestic flight coupons and promo codes. Additionally, varied airlines including SpiceJet, Air India, Jet Airways, Indigo, and more, rolls out exciting domestic flights offers to make the flight tickets booking affordable to a common man. At present, there are numerous websites that let you book your flight tickets in no time. At a single place, you can explore the booking prices of domestic flights in India. Akbartravels, one of the best travel management companies in India, has been into operation since the last six years to provide you with the best deals on flight tickets online. Popular for working seven days a week, AkbarTravels is your one-stop destination whenever you wish to book domestic flights of popular airlines such as Spicejet, Indigo, and Air India Express. AirAsia Sooper Sale - The fares of AirAsia starts at Rs. 1,284, provided your travel period is till March 31st, 2019. AkbarTravels is providing you with an exclusive SpiceJet offer. 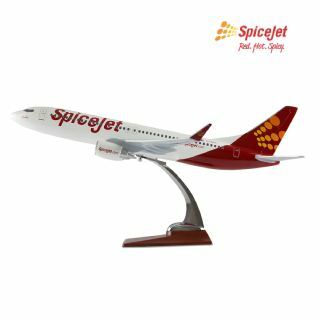 On booking domestic flight tickets, you won’t have to pay any convenience fee on SpiceJet airfares. On paying at AkbarTravels via Amazon Pay to book flight tickets, you would get a flat cashback of Rs. 500. However, the booking amount should be above Rs. 4000. AkbarTravels Flight Offer - If you are a Mobikwik wallet user, book your domestic flight tickets right away. The reason is Mobikwik is offering a chance to win a flat cashback of 5% up to Rs. 500 on flight tickets. To avail the SuperCash, make a minimum transaction of Rs. 2,000 at AkbarTravels. Airtel Power Bank rolls out an amazing offer on flight bookings. When you make a minimum transaction of Rs. 1,200 at AkbarTravels via Airtel money, you earn 10% up to Rs. 250 on your flight tickets. Before booking domestic flights, the very first thing that we search on the Internet is “cheap flight tickets” to save a few bucks. CheapTickets is an online platform that presents you with the best deals and discounts on flight tickets. So, whenever you plan to go anywhere within India, make sure to check the flight tickets price on CheapTickets to get the best deal. Use CheapTickets Flight coupon code “DOM200”, to win instant cashback of Rs. 200 on domestic flight tickets. All the ICICI bank card holders could easily avail an amazing discount on flight bookings. Use the Cheaptickets domestic flight promo code “CTICICIDOM”, to earn up to 12% (maximum up to Rs. 500) on your flight bookings. Axis bank is offering a flat 7.5% off on domestic flight tickets booking to all debit and credit card holders. Jio users can avail a flat 10% off on domestic flight bookings. On booking domestic flights via PayTM, users will get Rs. 1,000 off on flight tickets booking. If you are a Mobikwik user, book your domestic flight tickets at Cheaptickets to earn 10% SuperCash up to Rs. 500. Users can enjoy an instant cashback discount of Rs. 150 on booking a ticket via BHIM UPI app. No matter where you are or what you are doing, book your flight tickets online via ClearTrip in a go. Along with flights, you can look for trains, hotels and events as well. Not only this, the platform also presents you with a plenty of flight tickets booking offers that lets you save money on your flight tickets. This festive season make your plans to go home and book your Domestic flight tickets on ClearTrip to win Rs. 3000 cashback. Make sure to use the ClearTrip coupon code “CTSAVE’ before booking the tickets. ClearTrip Flight Offers - Get an amazing instant cashback of Rs. 10,000 to all HDFC credit card holder. Book your flight tickets on Saturday and Sunday, and use ClearTrip promo code “CTWKNDHDFC” to avail the Cleartrip domestic flight offer. If you have a bank account in RBL bank, then use your credit card to book flight tickets on ClearTrip and win an instant cashback up to Rs. 1,500. Avail the offer by using ClearTrip coupon code “CTRBL”. The offer is valid only on Saturday and Sunday. If you are planning to go somewhere then the best way to save your money is to book your flight tickets in advance. ClearTrip rolls out Airline flash sale from time to time where you can make flight bookings starting at just Rs. 1,083. Use the coupon code “CTPZ1000”, to grab cashback up to Rs. 1,000 on flight bookings. To avail the offer, book your tickets on Cleartrip Android Mobile App and pay with PayZapp. To earn an instant cashback of 10% maximum up to Rs. 100, book tickets for flights at ClearTrip and pay using your Freecharge wallet. Air India is presenting you with the lowest prices of the year where domestic flight tickets start at Rs. 1,630. Hurry up! Air India Sale on ClearTrip is for a limited period offer. Use the ClearTrip coupon code “VACATION” to book a domestic flight (round trip) and win an instant cashback of up to Rs. 2,500. For the best travel experience, book your domestic flight tickets as well as hotels at Expedia. Being among the best online travel portals, Expedia ensures to provide travellers with the best service. Whether you are looking for cheap domestic flights from Delhi or Bangalore, just open the Expedia portal to make bookings at reasonable prices. Use the Expedia Flight coupon code “EXPHDFC17” to enjoy an additional 10% off on your flight bookings. Recently, Flipkart has stepped into the world of online travel arena in collaboration with MakeMyTrip. Moreover, the platform has promised its customers to offer the cheapest flight ticket. If you are a Flipkart user, then easily book your flight tickets via Flipkart app on your smartphone. To promote Travel by Flipkart, the company is offering a flat discount of Rs. 2,500 on all domestic flight tickets. In other words, no more you need to explore Flipkart Domestic flight tickets prices on the Internet, as you would get the best price on Flipkart. Want to explore the world? Pack your bags and travel to your destination with Goomo. Besides providing you with easy flight booking option, Goomo takes care of your pockets. Before making a flight booking, use an applicable Goomo coupon to earn exciting discount or cashback. On using the Goomo Flight Promo Code “FLYSEP” before making domestic flight bookings, customers will get a discount of up to Rs. 500. Goomo is offering an instant discount on domestic flights booking on using the promo code “WEEKEND”. You can avail an instant discount of Rs. 200 when the transaction amount is between Rs. 4000 and Rs. 7999. When the transaction value is above Rs. 8000, you will receive Rs. 550 as an instant discount. Whenever you feel like skipping your monotonous life and explore new places and meet new people, visit the JetAirways right away to book your flight. On flight tickets booking, Jet Airways offers a plenty of bank and e-wallet offers which lets you save on tickets. Domestic flight deals on Jet Airways are starting at just Rs. 1,313. Book your tickets now to avail the offer. Mobikwik e-wallet users can earn up to Rs. 500 on booking flight tickets on Jet Airways portal. 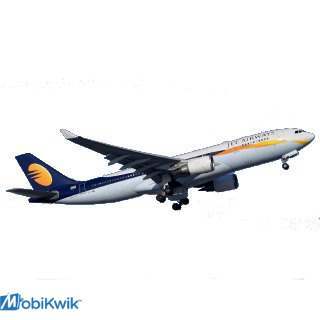 No promo code is required to win 10% Supercash via Mobikwik Jet Airways offer. Jet Airways is offering a chance to win a flat cashback of 10% on domestic flight tickets booking, provided payment is made either via Airtel Money Wallet or Airtel Payments Bank. The maximum cashback that you can avail using the offer is Rs. 250. Wouldn’t it be great to book flight tickets in a few clicks only? No more you have to search cheap domestic flights in India on the Internet as MakeMyTrip presents you with the best flight tickets offers. Additionally, features like Fare Calendar, Instant Discounts, MyWallet, MyRewards Program, and many more, allow you to book your flight tickets without any difficulty. If you are a frequent traveller, get started with domestic flight booking on MakeMyTrip right away. Planning a long weekend? Book your tickets on MakeMyTrip portal to earn up to Rs. 1,500 off. The offer is valid on the purchase of a minimum two tickets. The cashback amount will be credited instantly to the user’s account. This offer is for the limited period only. Use MMT flight coupon code “MMTFLIGHT” to get up to Rs. 1,000 off on domestic flights booking on MakeMyTrip. Book your domestic flight tickets on MakeMyTrip via Mobikwik wallet to earn up to 10% SuperCash. The maximum amount that can be availed through the offer is Rs. 600. However, the minimum booking amount should be above Rs. 3,000. Use the MMT deal code “HDFC5X” while making a transaction for domestic flight booking on MakeMyTrip and earn 5x Reward points on your HDFC Retail Credit Cards. First-time users of Airtel payments bank/wallet can earn 15% cashback (maximum up to Rs. 250) on booking flights tickets on MMT. The minimum transaction to avail the offer is Rs. 1,200. Book your domestic flight tickets on MakeMyTrip and use the coupon code “MMTPAY” to get Rs. 800 off. With the offer, you will earn an instant discount of Rs. 400 and Rs. 400 as cashback to your wallet. This offer is exclusive for PayPal customers. Musafir is among the fastest growing travel websites in India. Whenever you wish to book domestic flights, visit Musafir for the best deals and offers on flights booking. Book your flight tickets using the Musafir promo code “MSAVE” to get a flat discount of Rs. 450 on domestic flights. Musafir Flight Offers - Get a flat discount of 15% (maximum Rs. 750) on booking domestic flight tickets. To avail the offer, the minimum transaction amount is Rs. 6,000. Use the Musafir promo code “HAPPYMUSAFIR”. On booking flight tickets on Musafir between 12 AM and 4 PM, you can avail 12% off. Use the promo code “NIGHTOWL” before making your transaction. When it comes to cheap domestic flight tickets, Via provides you with the best deals and discounts on flight tickets. Therefore, whenever you plan a trip anywhere in India, book affordable domestic flight tickets on Via. 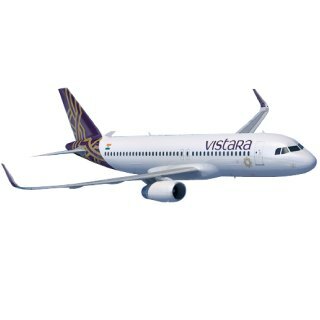 On using Via promo code “VIADOM” to book domestic flights, users can avail a discount of up to Rs. 1,000. The offer is not applicable on AirAsia flight tickets. Lowest IndiGo airfares, starting at Rs. 1,199, are available on Via portal. Book your domestic flight tickets now. Book your domestic flight tickets on Via via Mobikwik wallet to earn up to 10% SuperCash. The maximum amount that can be availed through the offer is Rs. 600. Minimum booking amount is Rs. 3,000. By the name only, one can easily guess that this online platform offers flight bookings. If you are interested in the lowest airfares of domestic flights, explore the Yatra world to get the best flight booking experience. No matter which place you want to visit in India, Yatra domestic flight offers allow you to book your tickets at affordable prices. Make bookings on domestic flights on Yatra and pay via Paypal to earn a discount of Rs. 1,200. Minimum transaction of Rs. 2,000 is required to avail the offer. Don’t forget to use the Yatra domestic flight promo code “YTPAYPAL”. Take a break from your monotonous life and plan a trip with your family or friends. Book your domestic flight tickets at Yatra to avail a discount of up to Rs. 2,500. Use the Yatra coupon code “YTFAMILY”. There is no minimum booking amount to avail the offer.